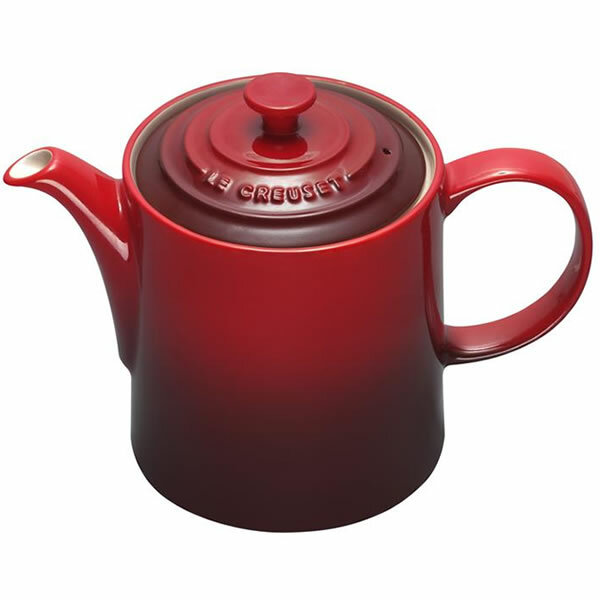 Le Creuset Grand Teapot Capacity 1.3L. 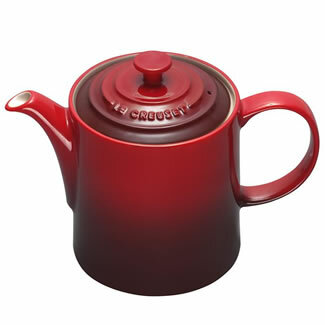 Both the Classic and Grand Teapot have a capacity of 1.3L, which comfortably serves 4 cups of tea. They come with a new anti-drip spout, so spillage will be a thing of the past and the larger easy-to-use handle makes pouring effortless even when the pot is full. The new stylish lid area will enable you to pour tea in an elegant and graceful manner, while the lid fits firmly in its hole even when pouring tea. Do not use on direct heat, Suitable for use in oven upto 260 deg.C/ 500 deg F, Microwave, Dishwasher and Freezer Safe, Easy to clean, hygenic glaze, will not absorb colours or flavours. Very Strong and durable, resists chipping, cracking and staining.